We understand that deciding to enter therapy is a significant life choice. When you're feeling sad, anxious, confused, or uncertain about your relationship, career, or life, it can be helpful to explore the process of change by talking with a professional therapist. If you live or work in the Chicago area, please take advantage of our free 15 minute consultation to talk with an experienced therapist and decide if therapy is a good choice for you. 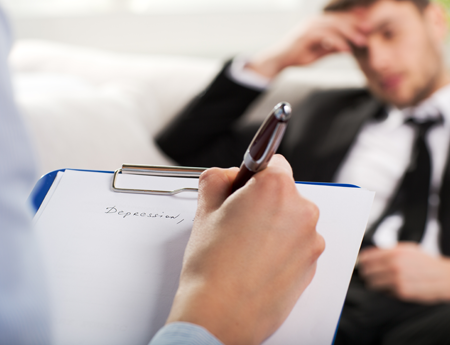 Make sure that any therapist you are considering is licensed by the state of Illinois. Assess how comfortable you feel with him or her, if the therapist listens well, seems to understand your concerns, and is able to describe a course of action that would help you create change. Studies have shown that it takes at least 10,000 hours of experience for most professionals to achieve significant mastery in their profession, so it may be most beneficial for you to work with a therapist whose background includes a minimum of 5 years of postgraduate therapy experience. Potential clients who consider Partners for Change are often looking for highly-experienced, well-trained, actively engaged therapists with whom to discuss and possibly develop a plan for implementing change in their lives. Many of us have years of experience teaching and providing consultation to other therapists. In fact, we often serve as the practice that other psychotherapy groups and insurance and behavioral health care companies choose for their own employees. As you consider your options, we encourage you to read the biographies of the practitioners who make up Partners for Change. The 15 minute phone consultation is neither counseling nor psychotherapy. It is an opportunity for you to talk with a highly experienced therapist and decide if entering therapy is a good choice for you.